With the foreclosure crisis, more people are renting single family homes – and this means it is more important than ever for consumers to be savvy and protect themselves. for prospective renters to avoid scams. 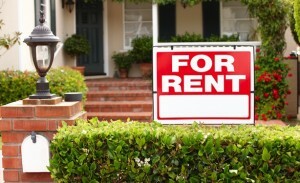 Before renting a house from an individual, ask for proof that they own the property. Check public records at the County Assessor’s office to be sure, and to verify that no Notice of Default (NOD) or notice of a trustee sale has been issued. If you pay cash by choice, make sure to get a receipt. Wiring money sounds more official than cash but it’s not; there’s no way to trace it. Be suspicious of a price that seems too good to be true. Try typing the street address into a search engine and see what comes up –legitimate landlords often list properties on multiple sites, so if you find several listings for a property that sounds identical but is several hundred dollars more, you’ve probably found a scam. Be aware of the “owner’s” priorities. A legitimate landlord will want to know about your goals in finding a home, and about your and your family’s rental needs. A scammer will want to get your money. If money seems like a higher priority than anything else, that might be a sign of fraud. Where will I send my rent? How can I reach someone if you are on vacation? What do I do if I need a plumber? An experienced landlord will have already thought through the answers. Payment is first priority – Cashier’s Check, FEDEX, Western Union, etc. If you do encounter fraud involving an ad for a Peabody Residential Home, please let us know via email at Info@Peabodyresidential.com.